Well, back home again after a rather trying and eventful trip that caused us to get home rather late. Could have been worse, we could still be stuck in South Dakota I guess so we got lucky in that way. I took this image on Wednesday early evening after a rain storm that only bothered our trip just for one half hour which we spent looking at things in the Visitors Center. 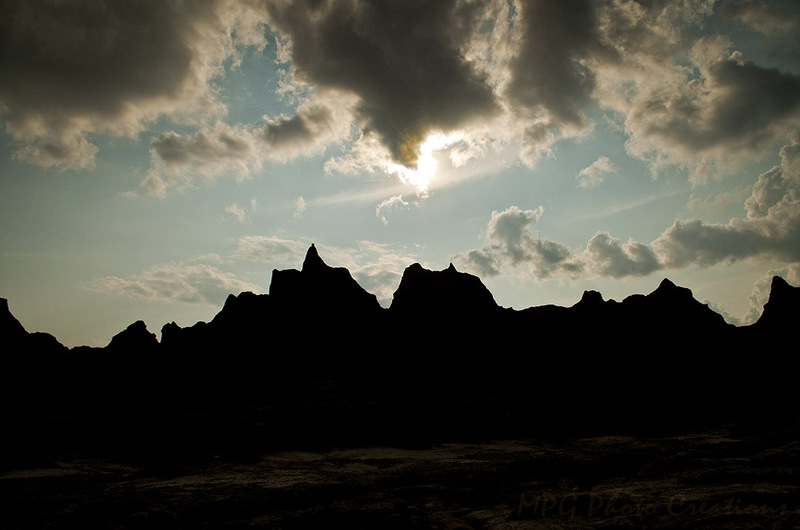 This is the Badlands in silhouette, a bit different image of it than usual I thought.